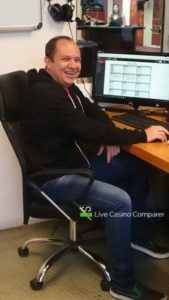 My Ezugi Live Casino review is more than just a rehash of Ezugi’s promotional literature or something written by someone that knows a little about live casinos. This is a real, been there, done it type review. In April 2017 I travelled all the way from the UK to San Jose, Costa Rica, so I could meet the management and the dealers. 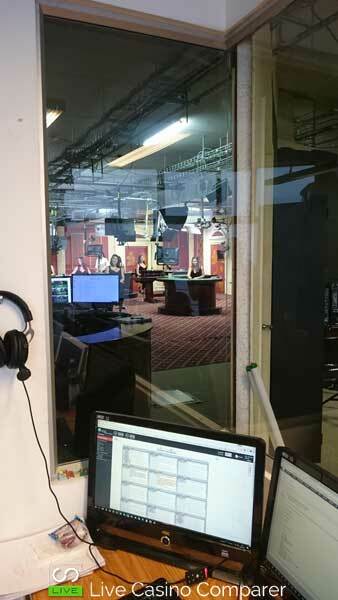 I was also hoping to speak to the guys that keep the live casino going and get a tour of the studio. I got to see what’s behind the camera lens and the bits you don’t see when you’re logged onto your PC or Mobile device playing against the live dealers. This is a real Ezugi Live Casino review. Ezugi is an independent Live Casino provider, that develops and streams live casino games from studios around the world. 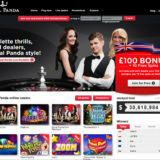 Their aim is to have a network of studios and live feeds from land based casinos that they can offer to customers through one playing interface. Since I last spoke to the owners in early 2017 they have opened more studios, entered new markets, introduced Live Streaming from land based casinos and launched 3 new games. 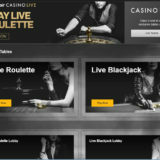 Casino Hold’em, OTT Baccarat and OTT Roulette have now been added to their existing portfolio of games that include Roulette, Blackjack, Baccarat, Keno and Lottery. 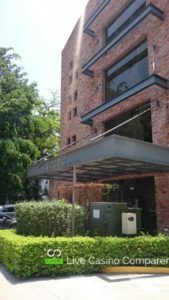 The studio is located in a modern building just outside the main business areas of San Jose. The building is rather innocuous, sitting amongst residential and business buildings. Ezugi occupies one of the floors and that contains the Studio, Offices, Dealer changing facilities, kitchen, IT Control Room, Training room etc. It’s not the biggest of offices, but there is room for expansion. The office area is all concrete and textures. It sort of looks half-finished but that’s the style of these modern offices. Concrete and frosted glass. I met with two of the senior management team, both of whom have a long working history in the Live Dealer/Casino industry. I was first introduced to the IT Control room staff where we discussed the IT setup. I’m particularly interested in this aspect as I have 30 years’ experience of providing and supporting IT systems. I know what they should have in place to run an operation like this successfully so was keen to find out if they did. They had local servers to serve the office but the main gaming infrastructure is held in a data centre in the “Cloud”. They have dual communications links into the building, one from the Caribbean side of Costa Rica and one from the Pacific side of the country. The building has a backup power supply, so they have most things covered. Inbuilt resilience within their network enables them to recover from a studio failure by re-routing gaming traffic to one of their other locations. This is one of the major benefits a distributed network gives you. The control room is used to monitor the performance of the games and communications. The support team are there to assist the dealers if there are any problems/issues. What I saw was fit for purpose, and would satisfy me if I was considering Ezugi as a business partner. The studio was a lot smaller than I imagined. This has been a pretty common theme at the studios I’ve visited. I guess space costs money. Tables are arranged in such a way to give the illusion of space when you’re viewing from your PC. The studio décor is a bit dated and was a bit shabby in places. You can’t see that when you’re playing but it’s noticeable when you’re standing in the studio. I was glad to hear they have plans to refurbish and extend the studio with more tables in the very near future. There are 9 tables and each has its own set of cameras, screens, directional microphones and lights with deflectors. The tables are big and sturdy. The dealing shoes are made from clear perspex and they use a full roulette table. During gameplay limited information is provided to the dealer on who is playing. They see a nickname and that’s it. Bet amounts are not shown. I wasn’t allowed to take pictures in the studio myself, but I did manage to get a sneak through one of the windows and one of the managers kindly took some of me with one of the dealers. 70 female dealers are employed by Ezugi in the Costa Rican Studio. They mentioned that they have plans to take on some male dealers, but there is some organising to do before that can happen. (Building changing rooms etc). The dealers I met were very nice. They work a shift system so they can cover the tables on a 24 x7 basis. For their personal security during out of hours, the dealers are provided with transport to/from the studio. That’s a nice touch and shows what type of company Ezugi is. I actually got to meet Pamela who I previously interviewed by email during 2016. It was lovely to meet her and we had a quick chat about her role. 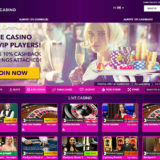 Players are able to give tips and they go directly to the dealer. I sort of like this as it incentivises the dealers to do the best job they can, but there is a risk that players may be able to gain favours from the dealer if they reward them well. It’s been an issue at another live casino where a live dealer cheating scandal erupted in February 2017. Like all Live Casino suppliers, Ezugi has comprehensive sets of compliance standards and procedures. They are there to ensure they meet with regulators requirements and make sure that the games are fair. All games are monitored and chat logs are reviewed to ensure on table standards are adhered to. The dealers’ privacy needs to be protected and it’s not unknown for players to try and meet with dealers outside of the studio environment. A practice that is forbidden. Reviewing chat logs is a way to ensure that dealers are not put at risk. Roulette wheels are routinely level checked and balanced and any work performed on the table or games is logged for Audit purposes. I spoke for a while with some of the management team and we discussed Ezugis growth. They currently have studios in Bulgaria, Belgium, Hungry, Cambodia and the USA. There are also plans for new studios in Spain, Italy and Poland. They are currently fitting out a new studio in Columbia. 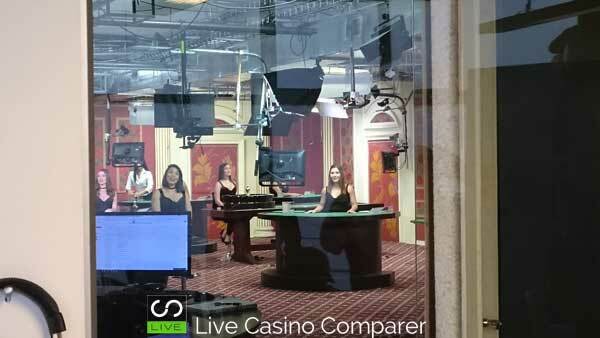 They are the first live casino operator to provide licensed live casino games to residents in the USA. If you’re located in New Jersey you can access their games through a couple of online casinos. Ezugi has to comply with the strict regulatory standards of the Division of Gaming Enforcement in the USA. They perform regular audits, both when something has changed and also randomly. 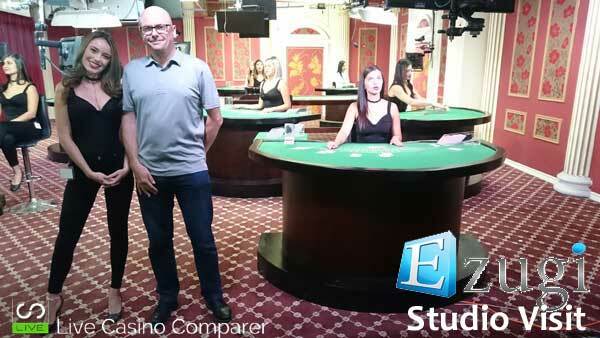 I’m really grateful that I got the opportunity to visit the Ezugi Live Casino studio in Costa Rica. I didn’t really know what to expect when I left the UK, and was pleasantly surprised with what I saw. The concept of having a network of studios around the world is a good business strategy. I know this is partly because of licensing regulations but it’s also good practice, and players get different experiences depending on what studio they play at. 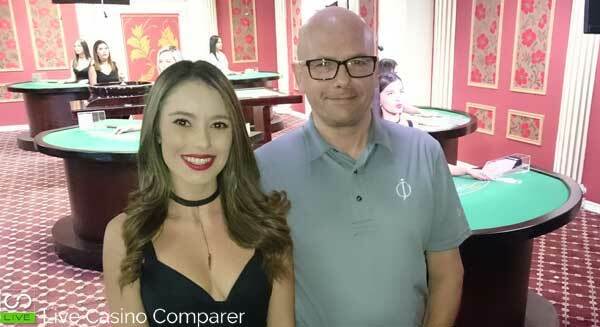 The studio in Costa Rica has a very Latin feel, which is great for players from South America & Asia and gives European players something different to try. 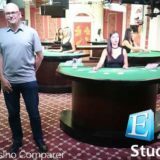 Being a Live Dealer is a good job. Ezugi treats their staff well, it can’t be a co-incidence that staff turnover is not very high. I’ve come away from my visit both impressed and sad. Ezugi doesn’t currently have a UK license so I can’t play at the tables I’ve seen. This is a real shame as Ezugi Live Blackjack is probably one of the best live dealer blackjacks you can play.